Soundcloud is one of the most used online music streaming website nowadays more than Spotify, since Spotify doesn’t even available in many countries yet. SoundCloud is very user friendly and many people love to use them. Even the celebrities are using the SoundCloud platform to release their audio. Also we can use it to host our own songs. 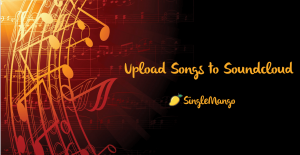 We can compose a song of our own and upload it to SoundCloud and also we can share them with our friends. 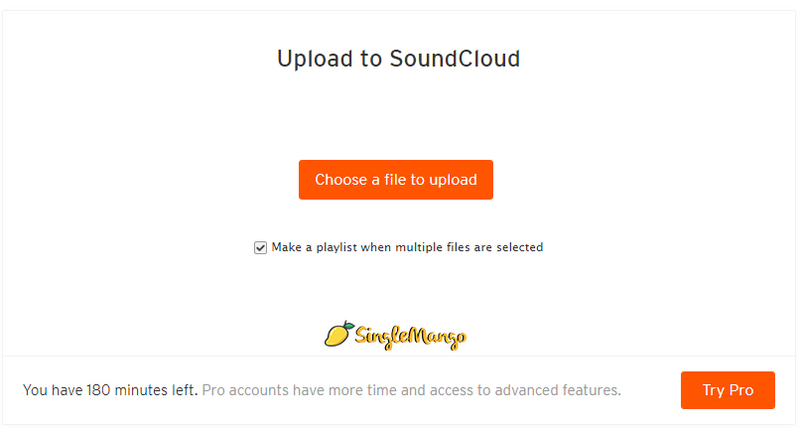 Upload Songs To SoundCloud in a better way with us. Not every person especially the budding artists can’t afford to host a new website and upload their songs on it and spread it. All they need for a head start is that a platform that is simple and easy to work with and quick recognition by everyone. 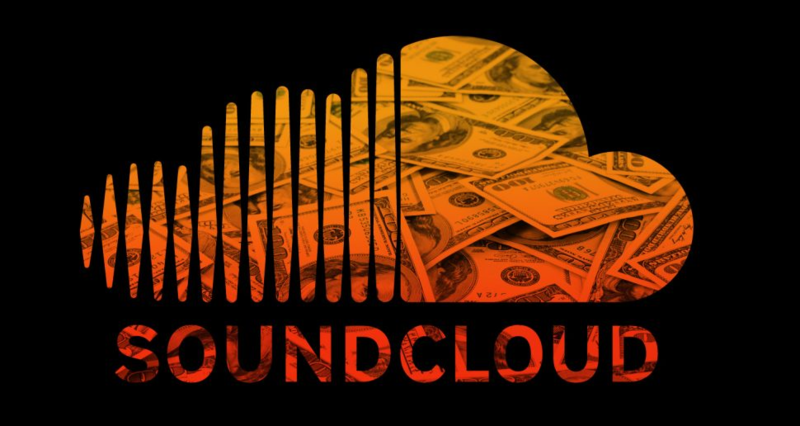 SoundCloud has millions of users and they search for new songs everyday. So new artists are getting chances to get famous easily. Now if you a new artist or some experienced artist who is looking for more fans then you are at the right place. Let me teach you how to upload songs to the soundcloud easy and simple way. The following are the serious of steps that are to be followed. Step 1: Do you have a SoundCloud account as of now? No? Ok then let’s create a soundcloud account first. Step 2: You will be given the two options. 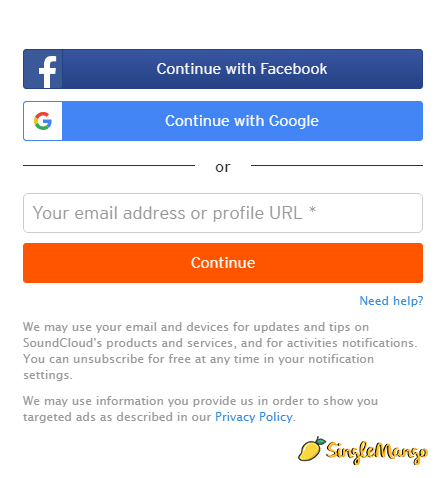 Sign up using Google plus and Sign Up using Facebook account details. If you don’t want to use either one of them then no problem you will still have the option to sign up using the E-mail. Step 3: Confirmation E-mail will be sent to your registered E-mail ID. After confirming you will get to log in to the SoundCloud Website. After login to the soundcloud site you will get a screen as below. On the top right hand corner we can see a upload button. On clicking that button there will be a pop up that asks you whether you need to upload your already composed song or you want to directly record it on the soundcloud. 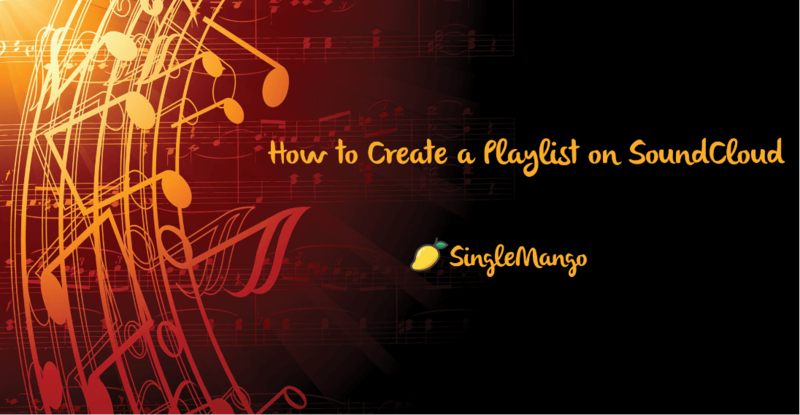 And another one important thing that you need to notice is that after uploading the song you need to mention the title of that song. Also don’t forget that you need add some tags so that people searching for new songs in their favorite genre may find your song and who knows, you might even become famous over the night. The next option is to choose whether you like the song to be available for the public or you need it to remain private. Now hit upload and voila. You succeeded in uploading the song. Also if you need to download SoundCloud songs or sounds, the website itself gives you an option to do it. But not all the songs that you can hear. The author must be comfortable with it. Only then he can enable the download option for that particular song. But still you need to download a song that you like. Ok then, you are the right place. Thanks man..!! Your downloader filled up my entire song library..